NanoLumens has forecast a bright picture for those forward-looking retailers who integrate technology with design to create new kinds of compelling customer experiences. The manufacturer and marketer of indoor and outdoor LED visualization solutions said that it is increasing its commitment to the channel and has recently appointed Matt Nurre to the position of vice president of global retail sales to lead the company’s channel development programs. According to Nurre, carefully themed visual displays have become the center of the complete digital retail experience that is actually revitalizing the brick and mortar concept. “Visualization, and all of the technologies that attach to it, are actually being used to define the essence of the retailer’s brand for the 21st century consumer,” he said, “and NanoLumens displays engage and hold the attention of consumers like no other solution out there. In short, traditional stores, thanks to technology, have the unique opportunity to do what the internet will never be able to do as well. “Stores can create a three-dimensional customer experience that combines interactivity, displays, AR/VR technologies, and, of course, the product being sold, into a totally new kind of experience that can’t be found anywhere else,” Nurre said. Nurre has been advocating for retailers to accept change and embrace the creative possibilities of technology for quite some time. He comes to NanoLumens from the Retail Design Source in Chicago, where he served as president of the boutique retail consultancy that focuses on retail store design, fixture development, visual merchandising, product engineering, interactive displays, strategic marketing, and manufacturing consulting. 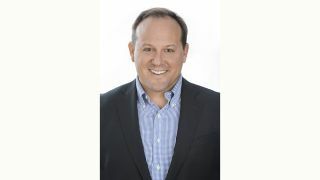 He also currently serves as the chairman of the Great Lakes chapter of the Retail Design Institute, a nonprofit organization that promotes the advancement and collaborative practice of creating retail sales environments.